Memphis, Tennessee – A triple-overtime instant classic, Game 4 of the Western Conference Semifinals between the Memphis Grizzlies and Oklahoma City Thunder has been nominated in the “Best Game” category at the 2011 ESPY Awards, which will air live on ESPN on Wednesday, July 13 at 8 p.m. CT.
Memphis fans will have a chance to vote for the Grizzlies at https://espn.com/espys. Other nominees in the “Best Game” category include Auburn over Alabama (Iron Bowl), Butler over Pittsburgh (NCAA Men’s Basketball Tournament), and the Philadelphia Eagles’ come-from-behind win over the New York Giants on Dec. 19, 2010 (NFL, Week 15). 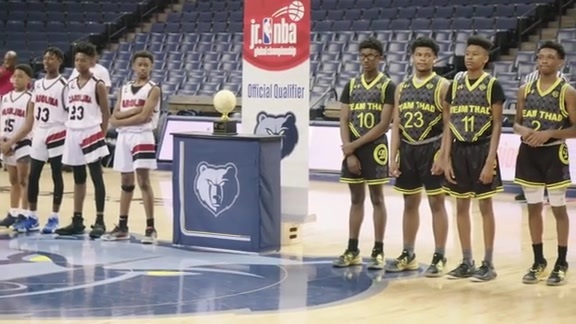 Voting ends on July 9 at 10:59 p.m. CT.
Symbolizing the team’s “grit and grind” mantra, Memphis rallied to score seven consecutive points with under two minutes left in regulation, capped by a deep Mike Conley three-pointer with 3.5 seconds remaining, to send the game into overtime. Down by three with 9.4 ticks left in the first overtime, Greivis Vasquez connected on a three-point heave to force a second OT, which eventually became a third, in front of a frenzied, capacity crowd at FedExForum. 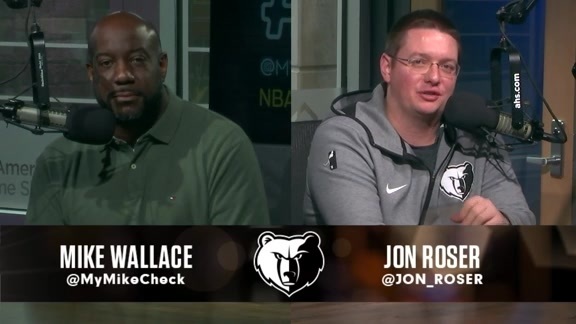 As was typical throughout the postseason, the Grizzlies’ frontcourt of Zach Randolph (34 points, 16 rebounds) and Marc Gasol (26 points, 21 rebounds) turned in exemplary performances. Kevin Durant (35 points, 13 rebounds) and Russell Westbrook (40 points, five rebounds, five assists) led the way for Oklahoma City, which outlasted Memphis in the third overtime, 133-123, to tie the series at two games apiece. In the midst of devastating floods throughout Memphis and the Mid-South, the Grizzlies’ performance in Game 4 gave the region something to believe in. The three-hour, 52-minute epic drew a local market rating of 24.8, the team’s highest-rated local broadcast ever and the highest local-market rating for any NBA team through the first two rounds of the NBA Playoffs. Memphis went on to force Game 7 at Oklahoma City, the Grizzlies’ final contest in a 13-game playoff run that included a first-round upset over the top-seeded San Antonio Spurs. The Grizzlies earned their first seven postseason wins in franchise history and tallied a 5-1 record in front of six consecutive sellout crowds at FedExForum. This marks Memphis’ second ESPN honor in as many weeks following ESPN The Magazine ranking the Grizzlies No. 9 overall in its ninth annual Ultimate Standings, a composite ranking of all 122 teams in the four major professional sports leagues (MLB, NBA, NFL, NHL) in North America. Memphis was ranked No. 1 overall in the “Bang for the Buck” category and named the “Hottest Team in Sports” in a separate survey within the magazine, which asked fans to rate recent changes of their commitment to their favorite team. Saturday Night Live’s Seth Meyers, who debuted as the host of the ESPYs last year, will reprise his role at the 19th annual awards show, which will be held at the Nokia Theatre in Los Angeles.